Found another great article on Valladolid! It can be found at the Simply Travel blog. 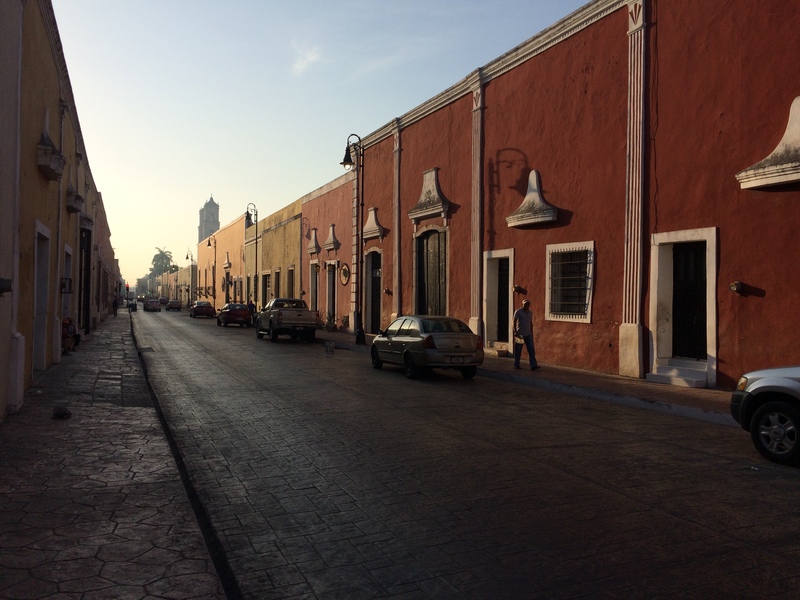 Since we will be taking a three-month trip to do need greater work in Mexico this summer I wanted to document some of the sights in the cities along our route. 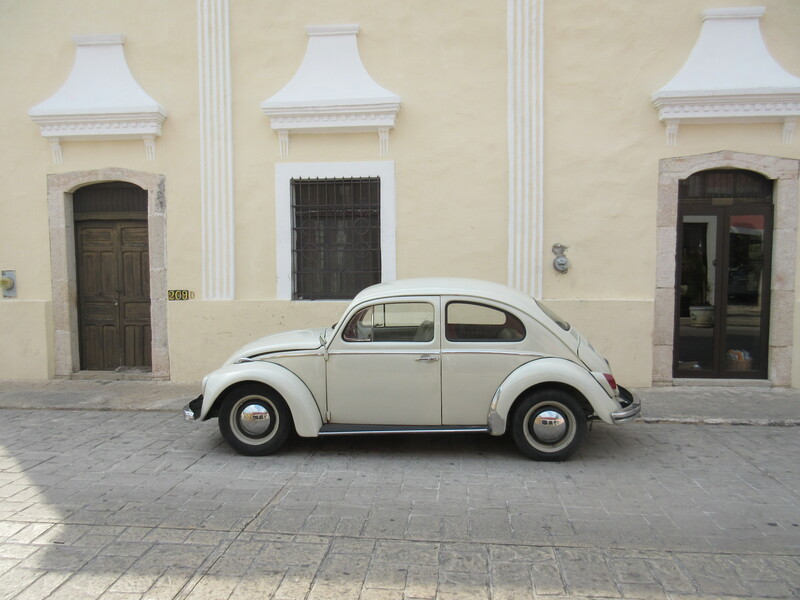 Although this post is just about Valladolid, the blogger is planning a second trip to the Yucatan and will be writing about her visits to Merida, Campeche, Tulum, Santa Elena, and Playa del Carmen. She gives a preview here. 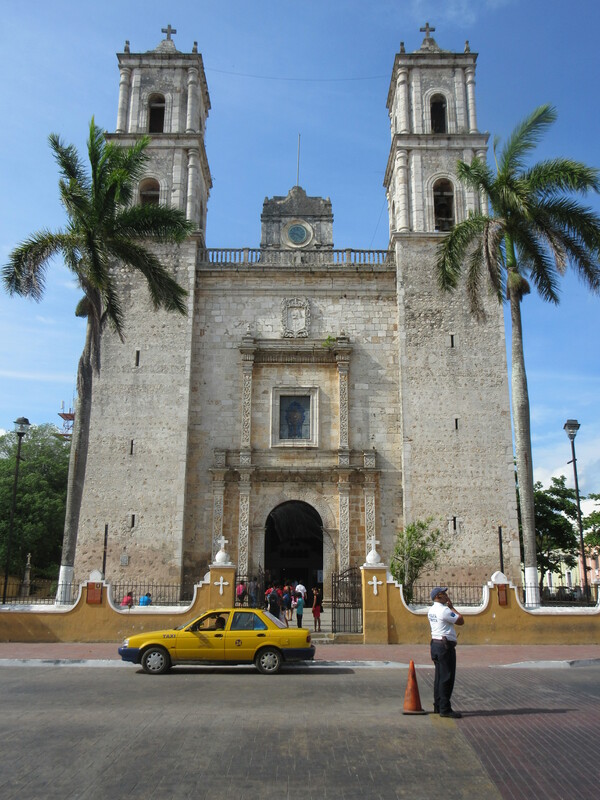 Valladolid, Mexico is a small colonial city with a slow-paced and peaceful atmosphere, located in the centre of the Yucatan Peninsula (approximately 2 hours west of Cancun and 2 hours east of Merida). 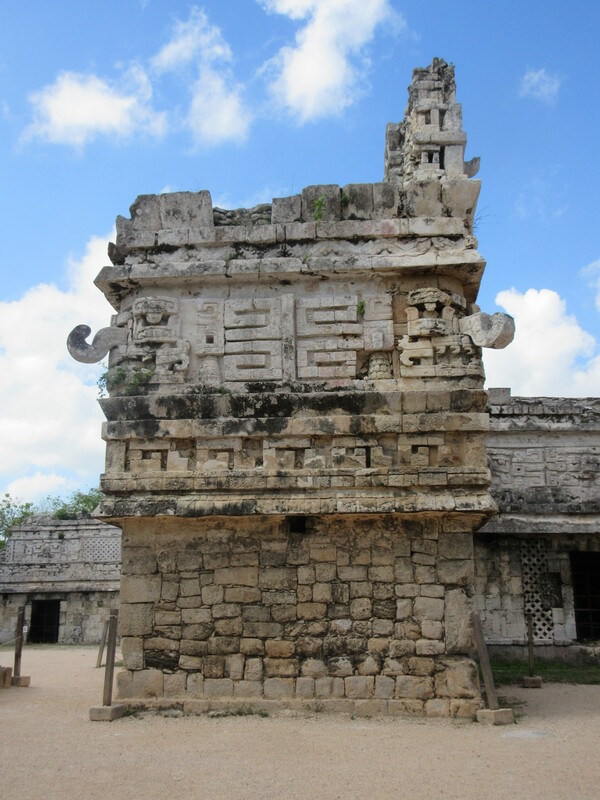 The Mayan culture is very prominent and the city has a lot of interesting history. The narrow cobblestone streets are lined on both sides with pastel-coloured houses and buildings. 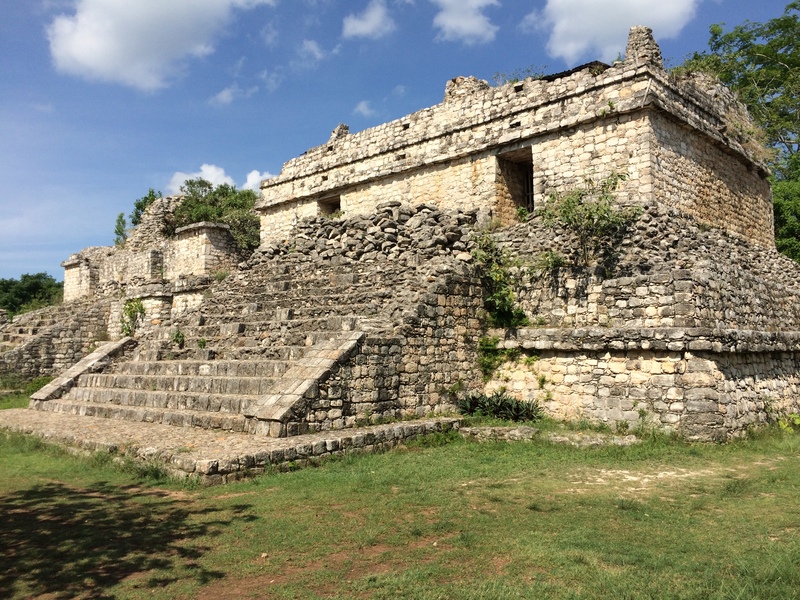 Valladolid is not frequently visited by many tourists, and most travelers arriving here only make a quick stopover in order to tour the nearby ruins of Chichen Itza and/or Ek Balam. The city is a little off the beaten path, which I loved. I loved wandering down the streets and being one of the few, and sometimes the only, tourist around. I also loved being able to more fully immerse myself in the language, while absorbing and learning about the culture through interacting with the local people and being able to observe the daily lives of the locals. 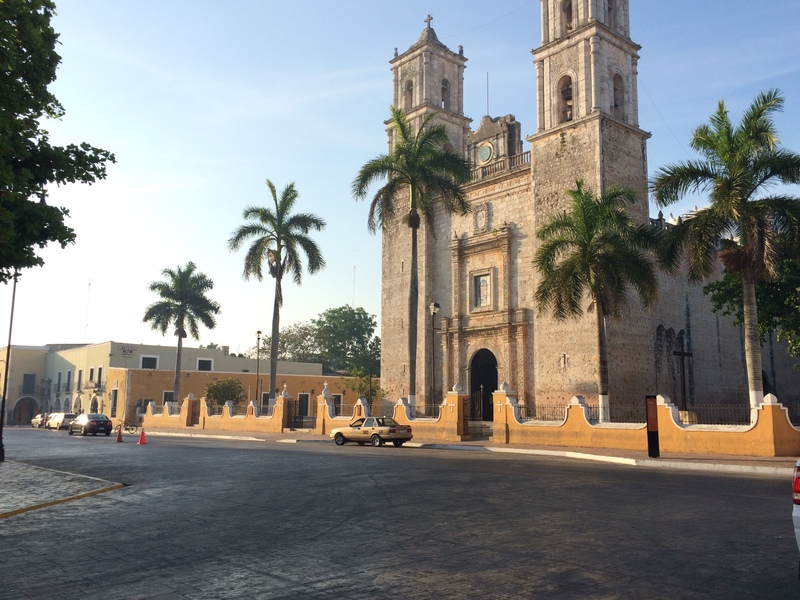 In 2012, Valladolid became known as a Pueblo Magico (Magic Town), which is an initiative led by the Mexican Tourism Department to recognize towns and cities in Mexico based on their natural beauty, cultural richness or historical relevance to the country. This city is so charming and it is definitely worth at least two days of your time, but I would recommend more time, if you have. 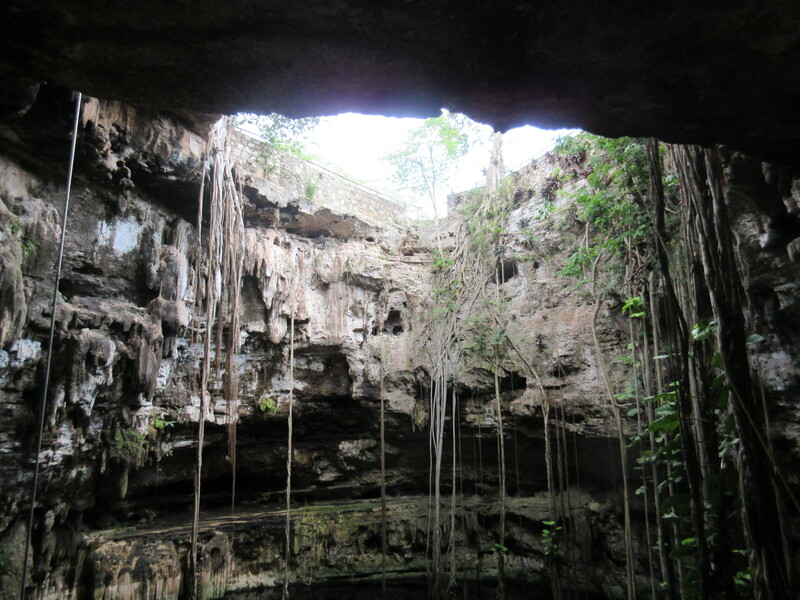 Cenote Zaci is a beautiful cavern-like cenote located in the middle of the city. This is a great place to go for a swim in peace, and it is likely you will be the only person there when you visit, as I was. The cenote can easily be reached on foot or by bicycle from the central area. Located at Calle 36 between 37 and 39. There are lots of bats and stalactites in an overhang area, and it is a great place for swimming. The water is a little murky, but don’t let that put you off. 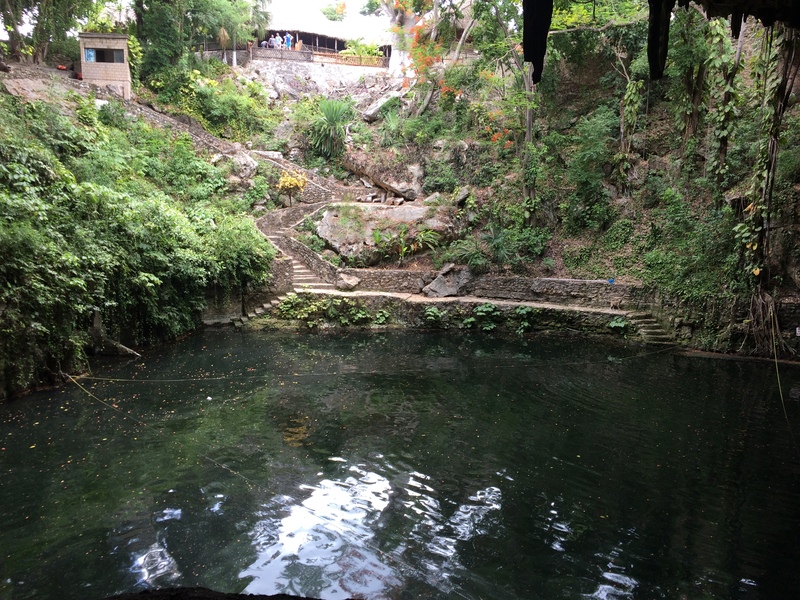 I had the whole cenote to myself when I visited on my first afternoon in Valladolid. 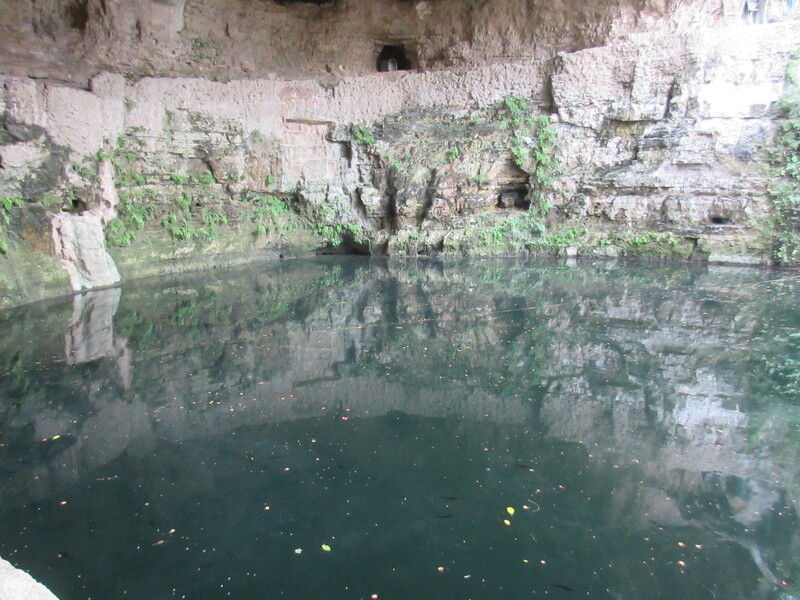 I wrote more in detail about this cenote in my post titled Cenotes of Valladolid. This cenote is absolutely gorgeous! One of my favourite things to do when visiting new towns and cities, is to explore and wander the streets. You can often find hidden gems along the journey and it is a great way to immerse yourself in the local culture, get off the beaten path and observe how the locals live. 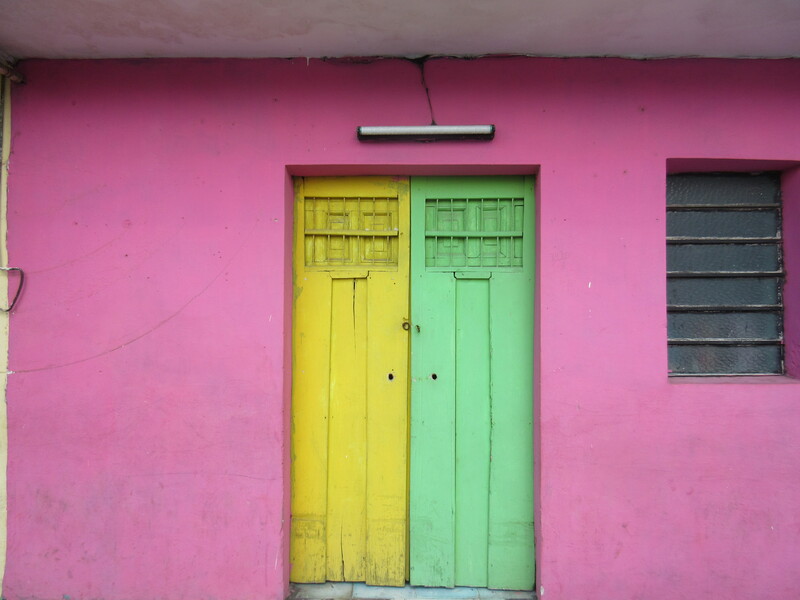 There are so many gorgeous colonial buildings to admire in Valladolid, and a lot of them have unique and colourful doors that make for great photo opportunities! I recommend strolling through the neighbourhoods in the vicinity of the central plaza as well as those surrounding Candelaria Park and Plaza. Exploring the residential streets and going for early morning walks in a new city is fascinating to me and one of my favourite activities while traveling. The convent is a great place to explore, and you may be the only person there, like I was! 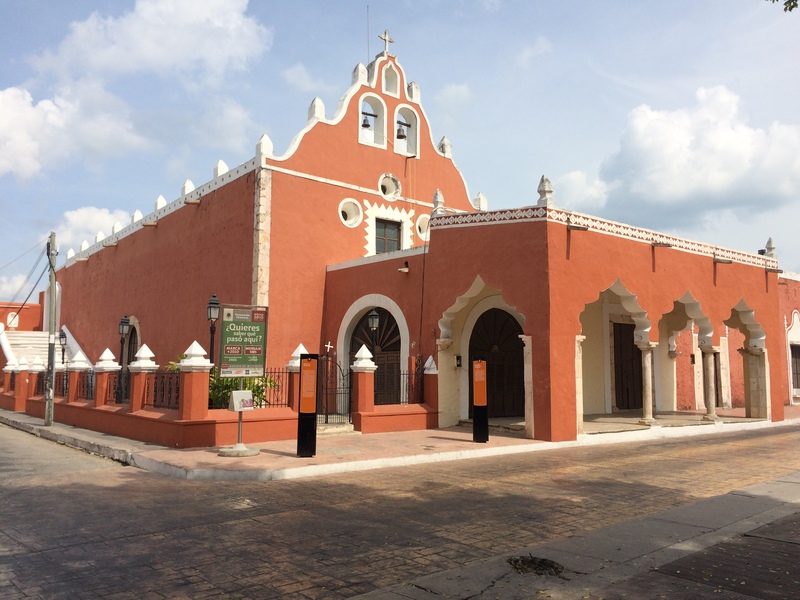 Located at Calle 41A and 49 (at the end of Calle de los Frailes). The convent is easy to walk to from the centre of Valladolid, along Calle de los Frailes. It is about a 10-15 minute walk. There is a lot of interesting history behind this place. The convent is huge and is a great place to explore! I enjoyed wandering around through the many quiet corridors and exploring the hidden stairways and small rooms (it is free to go inside the convent). There is a courtyard in the centre of the convent. 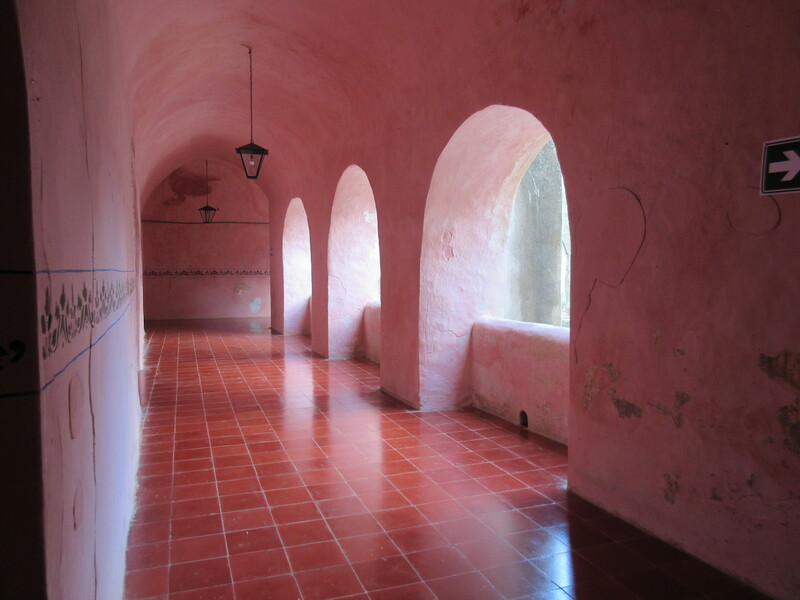 All of the walls in the corridors and the stairwells are painted the same pink pastel colour, so it is very easy to get lost if you aren’t keeping track of other landmarks or the direction from which you came. Behind the convent, there is a beautiful garden with an old well that was built over top of a cenote. This served as the convent’s main water source. There is also a church inside the building that holds services every day. There was a service in progress when I was exploring the convent and I was able to hear the lovely singing throughout the building. It was eerie at times, walking into rooms off the main corridor and finding dark and hidden stairways to more small rooms. I was the only person walking through the convent at the time I was there (mid-afternoon). After visiting the convent, go for lunch or dinner at Taberna de los Frailes or Yerba Buena! 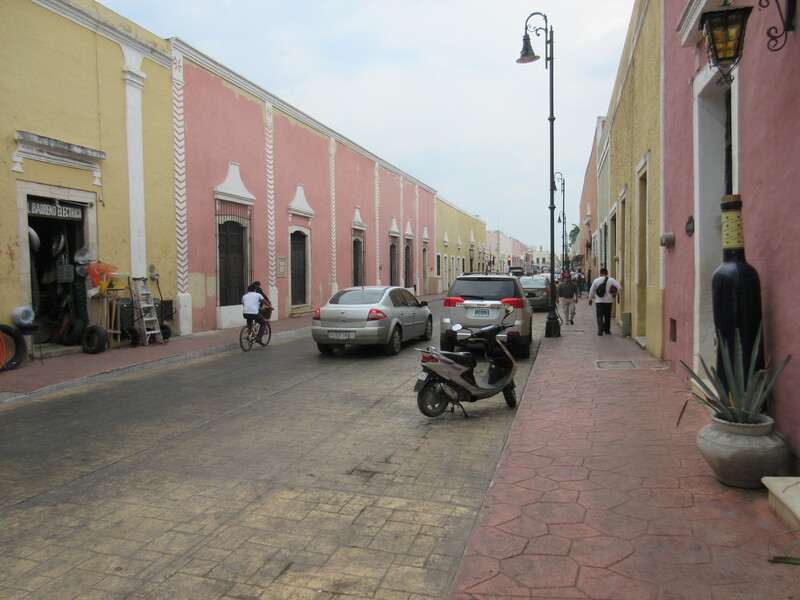 This is a well-known historic street in Valladolid, also known as Calle 41A. 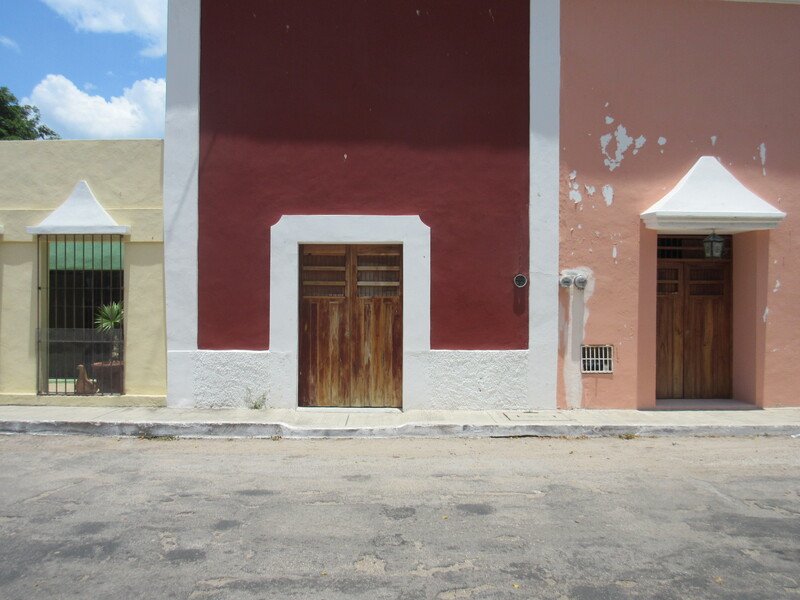 It is absolutely lovely to stroll along, take photos of the many unique doorways and colourful colonial buildings and relax at Sisal Park at the end. The street begins at the intersection of Calle 41 and 46 and is a diagonal street that runs from the city centre towards the Convent de San Bernardino. 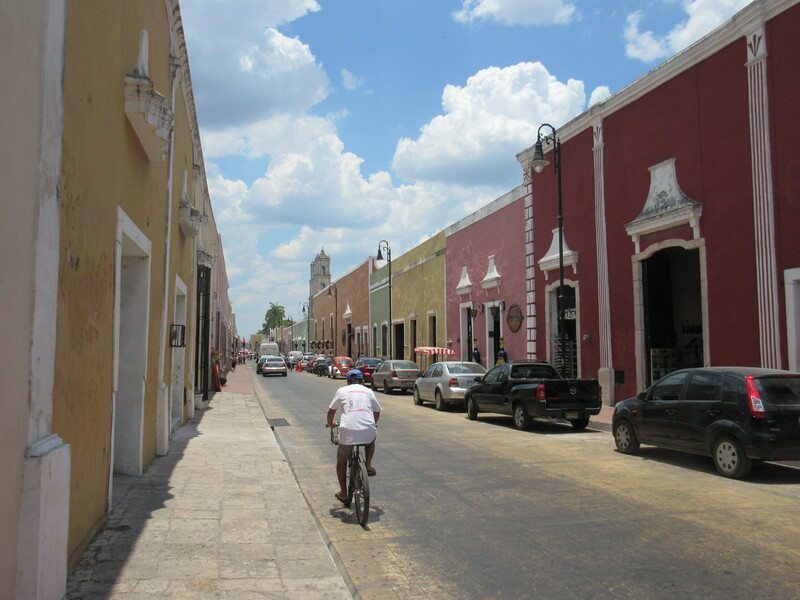 This is probably the most beautiful, pristine and well-maintained street in Valladolid. It is lined with popular restaurants, specialty shops and colonial homes painted in many bright and pastel colours. There is a place called “Fabrica de Chocolate Artesanal Maya Chocol Haa,” in a bright red building about halfway down the street, going towards the convent. If you go inside, they will offer you free samples of authentic Mayan chocolate served in a variety of interesting flavours (tequila chocolate, for example). They also sell the chocolate in larger packages as well as chocolate products. 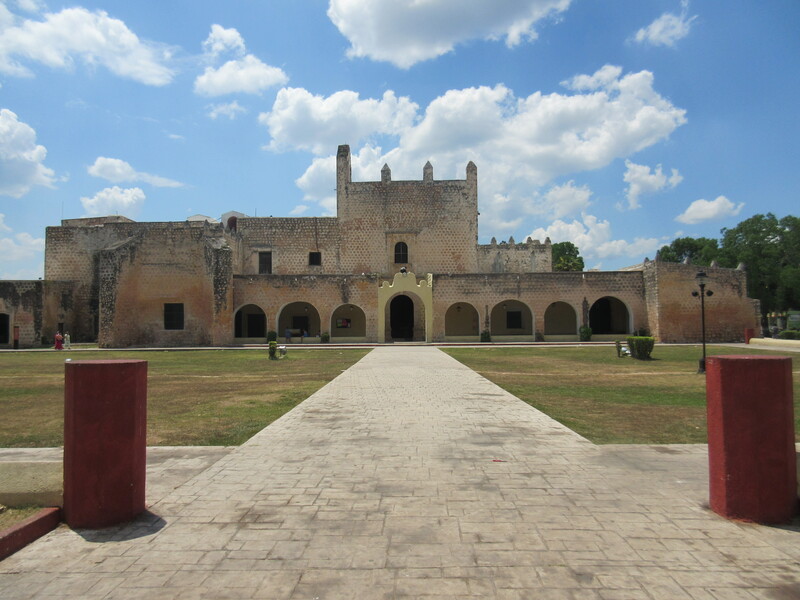 At the end of the street, you will enter into an open park area (Sisal Park) with the convent beside it. Spend some time relaxing at the park before exploring the convent, eating or heading back to your accommodation. This is a beautiful street to go for a relaxing walk in Valladolid. Located at Calle 37 and Calle 32. It is easy to walk or bicycle to the market from the central areas of Valladolid. There is bicycle parking on the streets bordering the market. This local market is the place to go for everything! 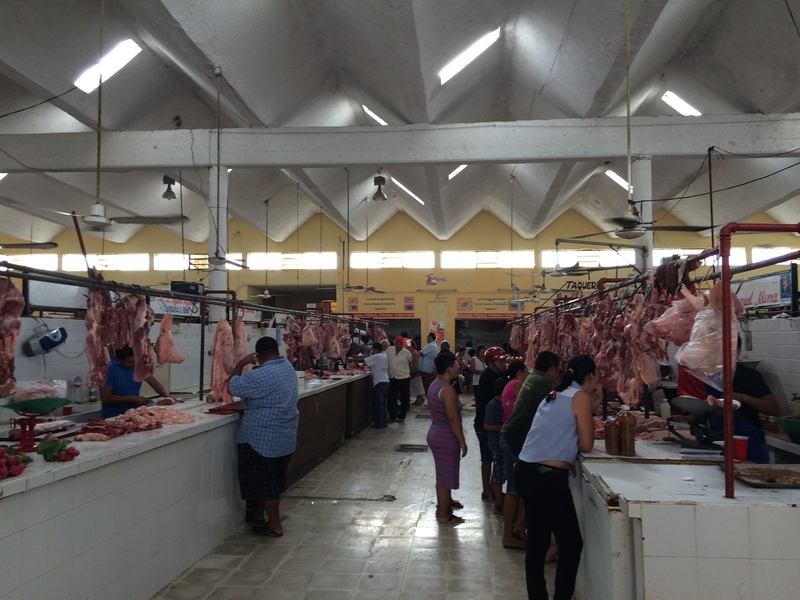 There are aisles upon aisles of fresh meat and various animal parts (including intestines, heads, eyeballs, etc. ), fruits and vegetables, toys, flowers, clothing, personal care products and cheap aguas frescas and traditional Mexican cuisine at the surrounding inexpensive taquerias. This is where the locals shop. When I went on a Saturday morning, it was packed with locals and my friends and I were the only Caucasian travelers there. It was a very authentic experience and there were many Mayan women dressed in their traditional outfits selling fresh produce, baked goods and other house ware items. The area where the meat was being sold was particularly interesting and disgusting (as a vegetarian) as butchers have individual tables set up up and down a few aisles, and the meat is cut up and displayed in the open. I observed pig’s heads laying on some butcher’s tables, intestines strung up along a clothesline, eyeballs and various other animal parts hanging on hooks above the tables. Thankfully for me, there was a huge variety in fresh fruits! I purchased a bag of freshly sliced pineapple from a local woman for only 10 pesos (less than $1 CAD). There were lots of fruits and vegetables that I had never seen before, native to Mexico, such as jicama, chaya, chayote, guava, and others. 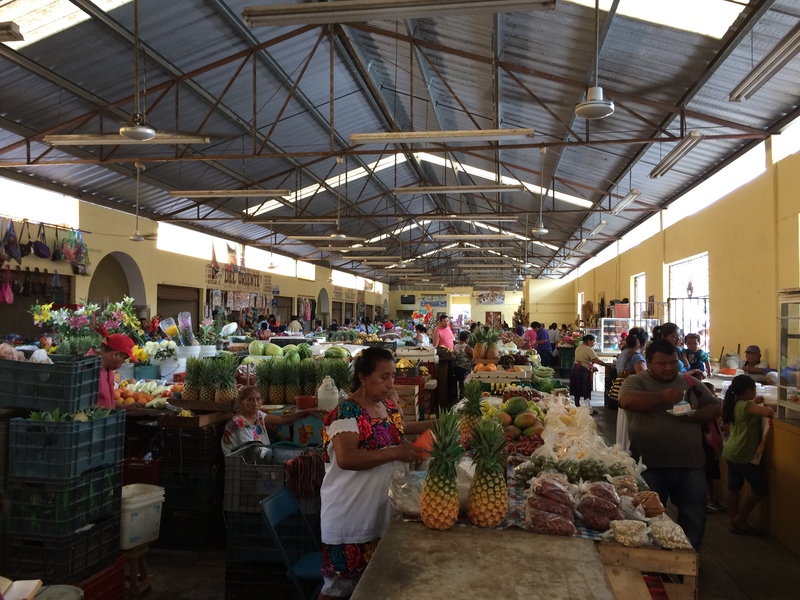 I love visiting markets when I travel, where everything is grown locally and is likely organic. I love how open markets like this one are the primary place where the locals purchase their daily goods. It is neat that you are able to chat with and know the individual(s) who grew or raised your food. You just don’t get this type of exchange or connection with your food if you shop in a grocery store. It brings people together; meeting those who made your food and also meeting your neighbours and family members there. The Plaza Principal is a great place to relax and immerse yourself in the local culture and language during the day and experience its vibrancy and local activity in the evenings. The streets surrounding the main square are often closed in the late evening while there are dance and musical performances. Located between Calles 39 to 41 and 40 to 42. 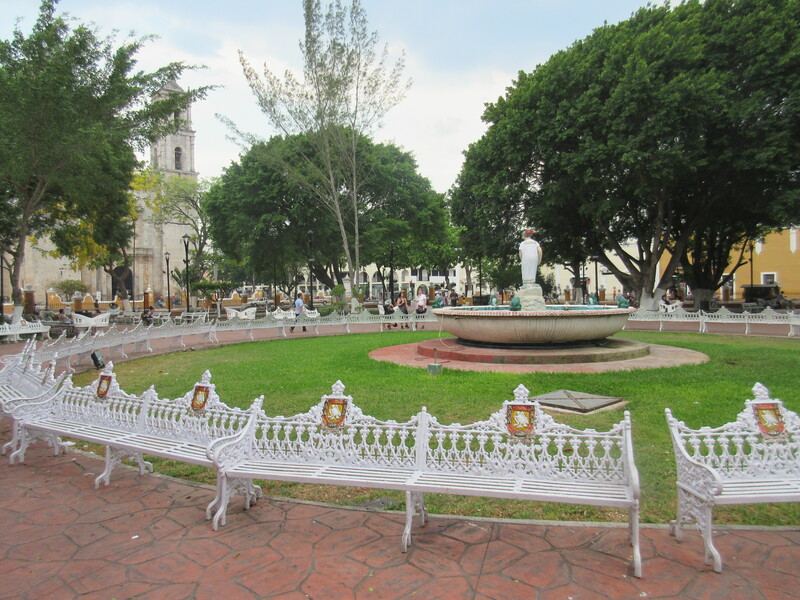 This is the main park and central plaza, located in the centre of Valladolid, surrounded by historic and colonial style buildings as well as the gorgeous San Gervasio Cathedral on the south side. 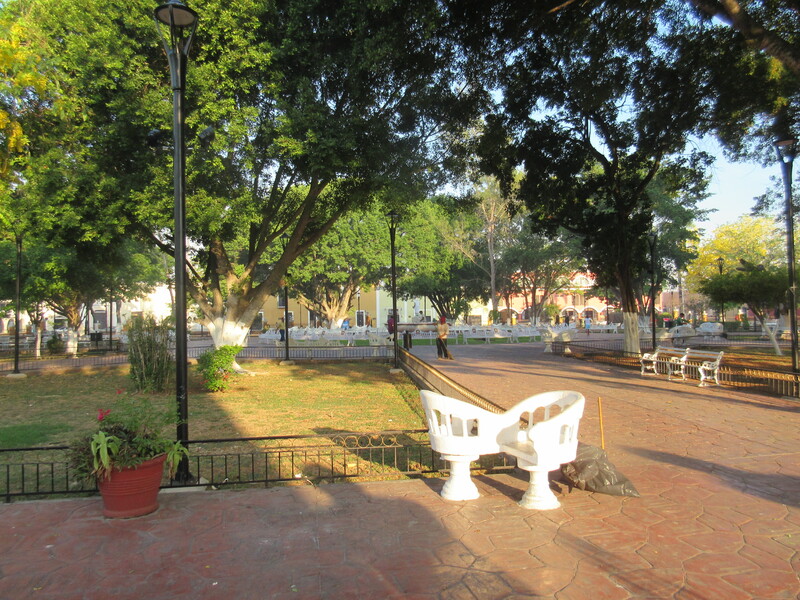 All authentic Mexican towns and cities have a central square and park, where all of the activity happens. Locals gather here in the evenings to meet up with friends and family, relax on the benches, eat ice cream, and chat with one another. The streets form a grid-like pattern around the central park, with odd numbers in increments of two going north to south and even numbers in increments of two going east to west. The park is beautiful and there are lots of seating options in the form of white benches and lover’s chairs (two chairs joined together and facing each other). Vendors selling souvenirs, ice cream and Mexican snacks can be found along the paths throughout the park. There is a giant fountain in the centre of the park, with a statue of a woman in the middle of it. The park is relaxing and peaceful during the daytime and is a great place to observe the daily lives of the locals and absorb the Mayan culture. I visited multiple times during my time in Valladolid. In the evenings, the main square transforms into a vibrant and bustling place filled with activity, as the locals gather to socialize, and shop and eat from some of the many vendors located around the park. 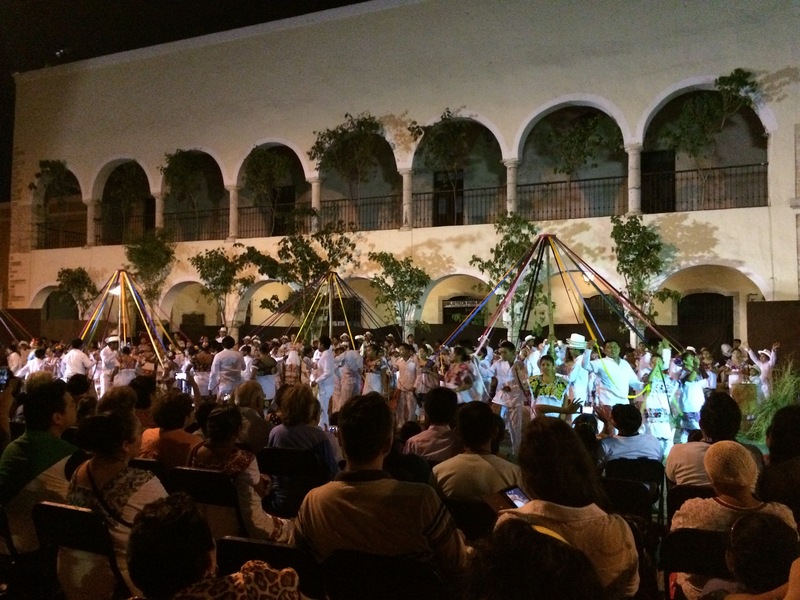 There are often local music and dance performances held here in the late evenings (around 9 PM), which are fascinating to watch and are a great way to participate in the local culture. There are a lot of birds that live in the trees in the park, and they can get very noisy at times! Cover your head when they fly by so you don’t get pooped on. The only downside to the park was the fleet of big tour buses full of tourists, that would roll in from the Cancun coast beach resorts stopping briefly in Valladolid, either on their way to or from Chichen Itza. The park got really busy around midday with the influx of people but it calmed down again after a couple of hours. 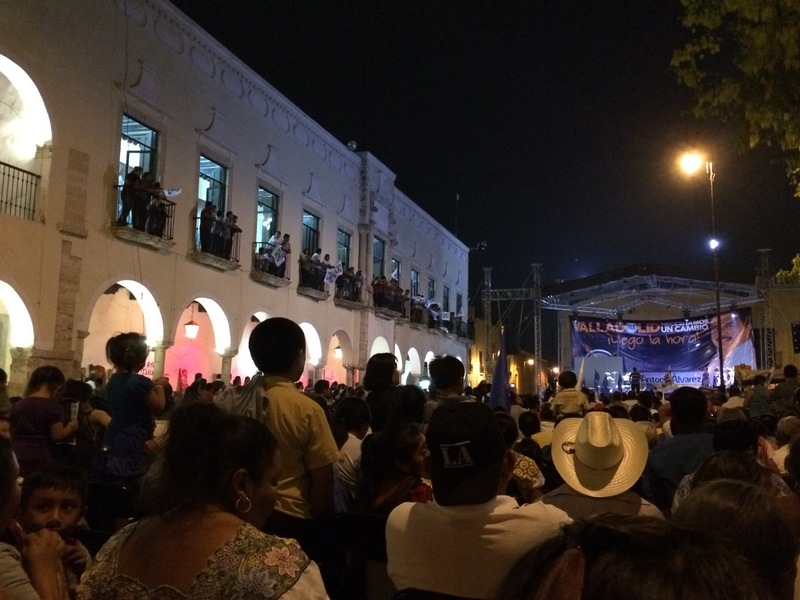 Check out my post about the culture in the Yucatan, to read my story about attending the closing campaign for a local political candidate! 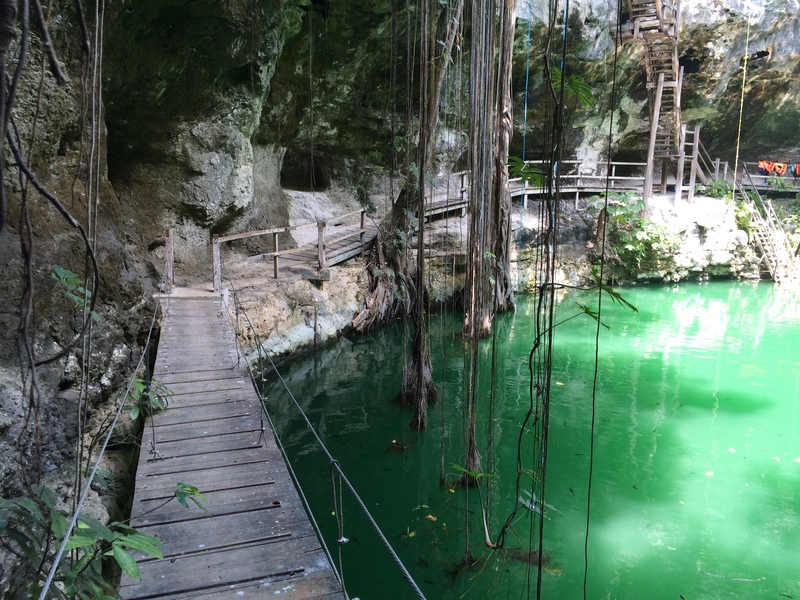 Cenotes Xkeken and Samula are fantastic places to go for a refreshing swim! Located approximately 7 km south of Valladolid, near the village of Dzitnup. 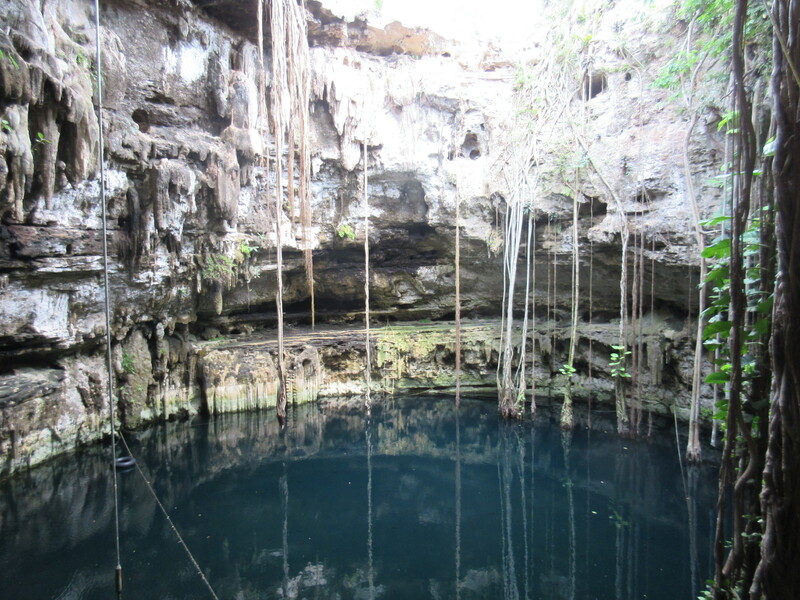 These cenotes are located across the road from each other and can be easily accessed by bicycle or taxi from Valladolid. 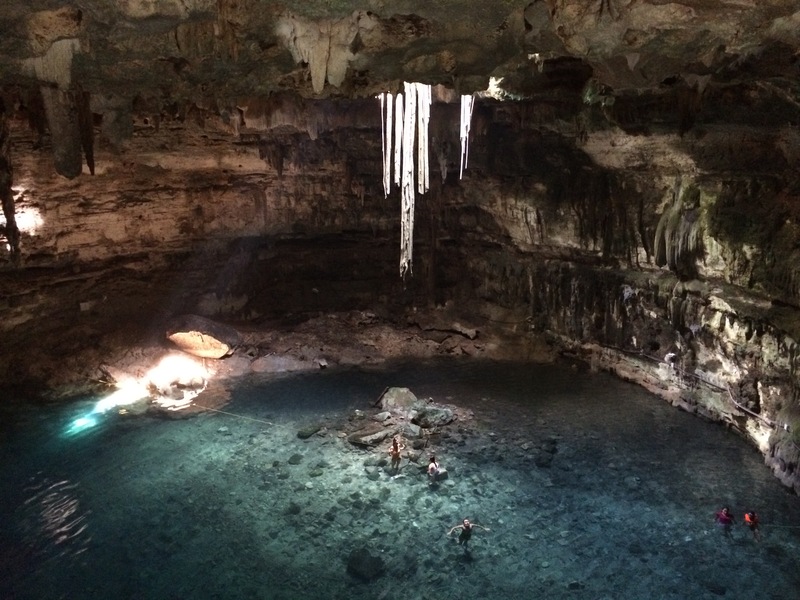 Both cenotes are completely underground, with only a small opening at the ground level for the sun to shine through and tree roots to reach down to the water below. I wrote about them in more detail in my Cenotes of Valladolid post. Located at Calle 44 and 35. This is a beautiful park and plaza, with trees, benches, lover’s chairs, cafes and ice cream shops surrounding the park. There is also a gorgeous red church across the street from the park. The park exudes a calm and peaceful atmosphere, and there are always locals sleeping or relaxing on the park benches and chatting with one another. The residential neighbourhood surrounding the park, is also lovely. I enjoyed taking morning walks throughout the neighborhood streets and exploring more of the city. Located on Calle 39 between 40 and 42, across the street from Francisco Canton Parque on the south side of the park. This cathedral overlooks the central park and is a beautiful church with detailed architecture. The cathedral still holds daily services, which are open for anyone to attend. It is beautifully lit up in the evenings and at night and there are often Mexican weddings taking place in the evenings here (when it’s cooler outside). My friends and I watched a wedding here, while waiting for one of the evening performances at the park to begin. Make sure to take a look inside the cathedral as well. The ceiling and statues are stunning. There are many authentic and traditional Mayan towns and villages located within bicycle riding or taxi distance from Valladolid. I did not have the time to explore these villages during my most recent solo trip, however, I plan to visit them next time I am in Mexico. Hostel La Candelaria provides you with a bicycle route map to visit these towns. They also rent bikes for 80 pesos per day. Some of the villages surrounding Valladolid include: Temozon, Chichimila, Dzitnup, Xocen, Tekom, Xcalaj and others. Located about 4 km south of Valladolid, this off the beaten path cenote was my absolute favourite that I visited during my solo travels. It is easy to get to via bicycle (you can rent from a bike shop in Valladolid or from Hostel La Candelaria) or taxi. 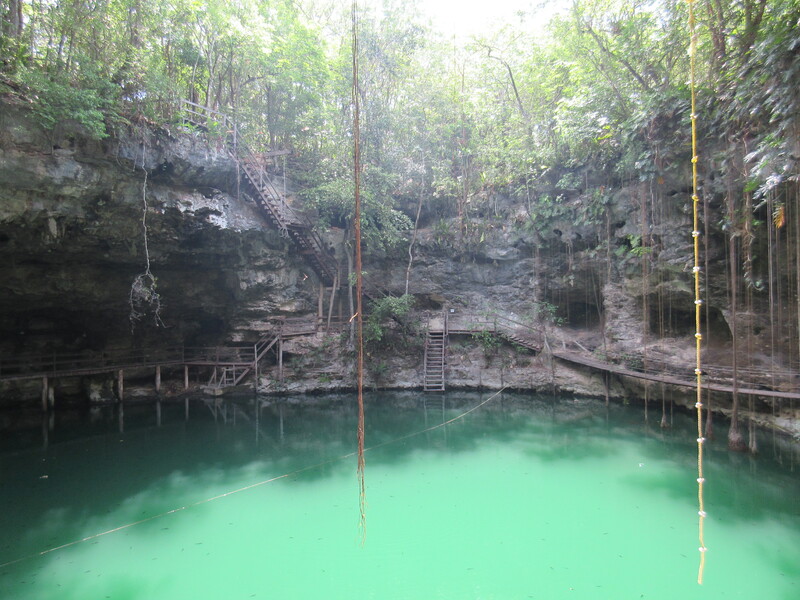 There is a rope swing that you can use to swing across the water and jump into the cenote. It was so much fun! 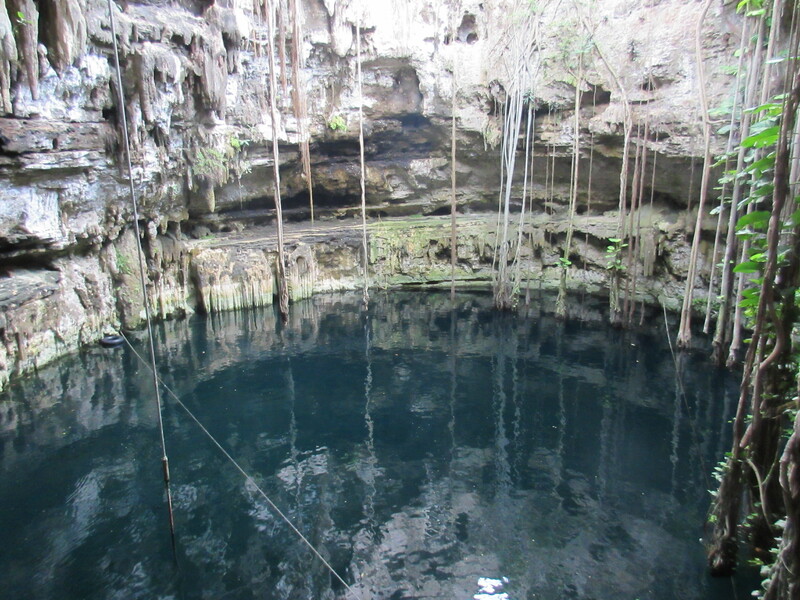 My group and I were the only people at the cenote during our visit, which created a tranquil and magical atmosphere. The hacienda property where the cenote is located, has a large swimming pool, complete with lounge chairs and a bar. 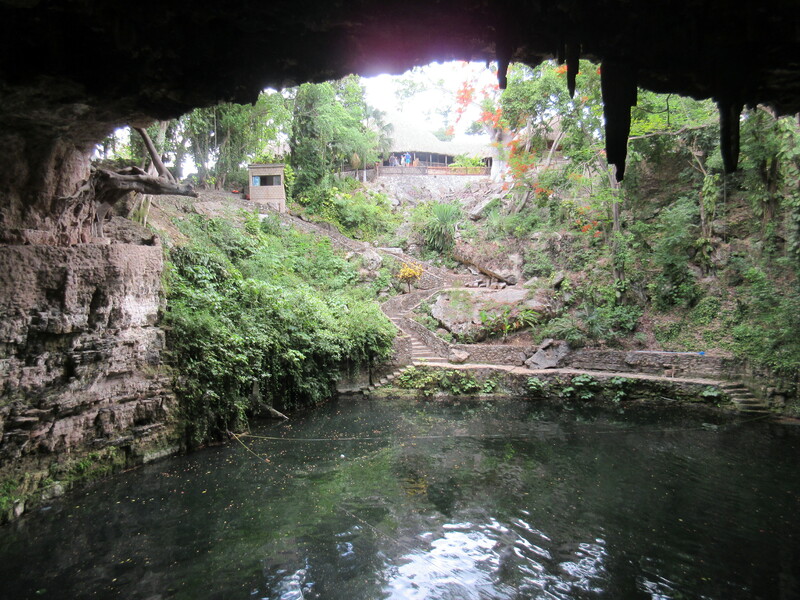 Access to the pool is included in the price of admission to the cenote. I ended up spending the entire afternoon swimming at the cenote and lounging by the pool with a Mexican beer! It was so relaxing. I wrote about more in detail in my Cenotes of Valladolid post. Located approximately an hour from Valladolid, the Coba ruins are a great Mayan ruin to explore. They are not super touristy and definitely farther off the beaten path than Chichen Itza and the Tulum Ruins. You can get there by first or second class ADO bus from Valladolid or Tulum. Since the ruins are spread out in the jungle, it is a good idea to rent bicycles for 40 pesos at the entrance. The entrance fee for the ruins is 65 pesos. 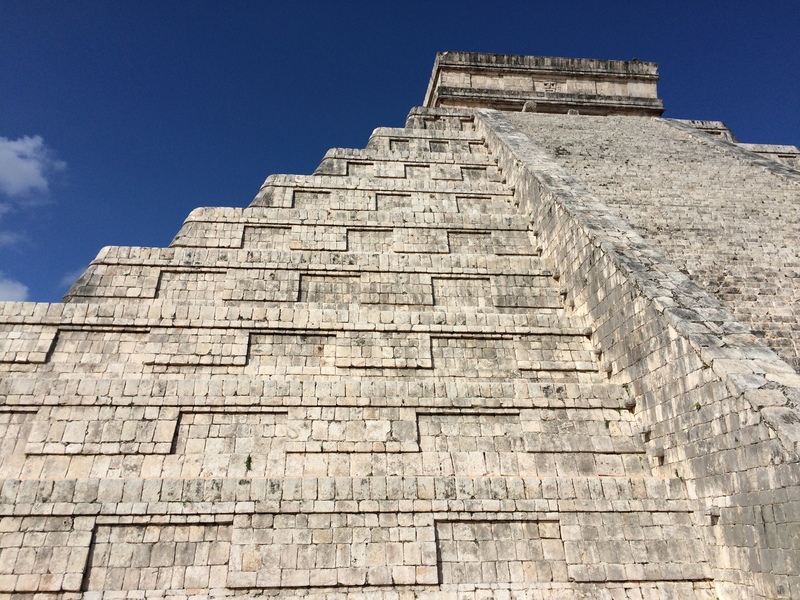 You are able to climb and touch all of the structures and the view from the top of the Nohoch Mul (the main pyramid) is absolutely stunning! 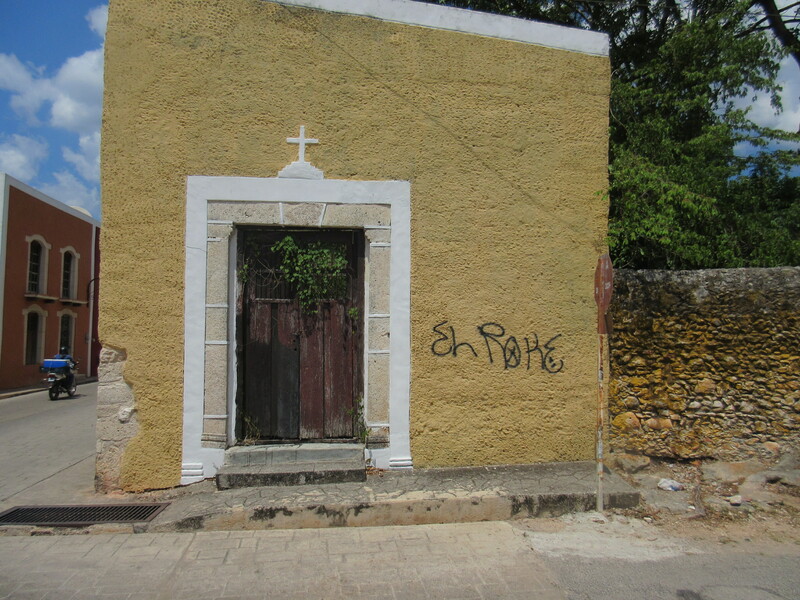 The village of Coba is also very interesting to wander around and explore. There are some authentic restaurants that serve delicious traditional Yucatecan cuisine in the parking lot of the ruins as well as further down the road along the lagoon, at the corner where the bus stop is. 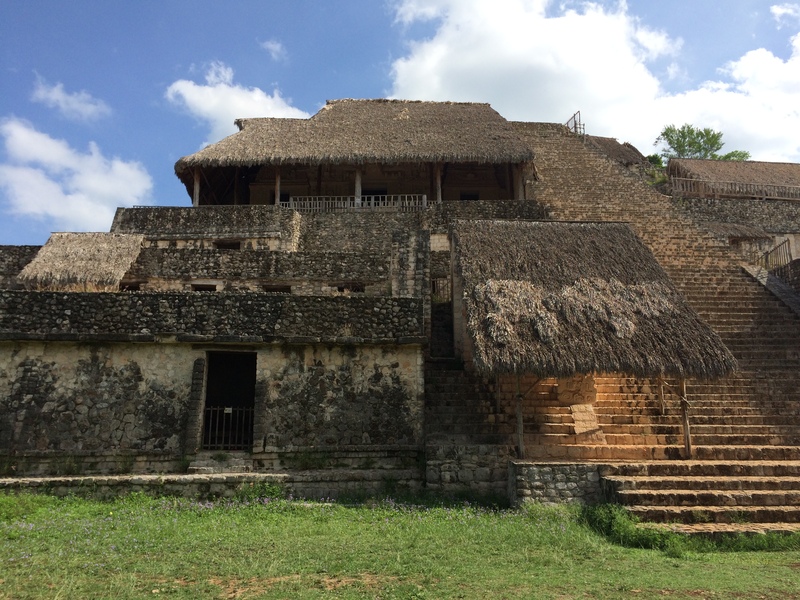 The Ek Balam ruins are located approximately 20 minutes north of Valladolid. You can get there via colectivo taxi from Valladolid. These were my favourite Mayan ruins that I toured during my first solo trip to Mexico. The ruins and cenote are definitely off the beaten path, and at times during my visit, my group and I were the only ones there. The atmosphere is peaceful, magical and relaxing. You can climb and touch all of the structures and there are rooms inside of the ruins that you can enter! 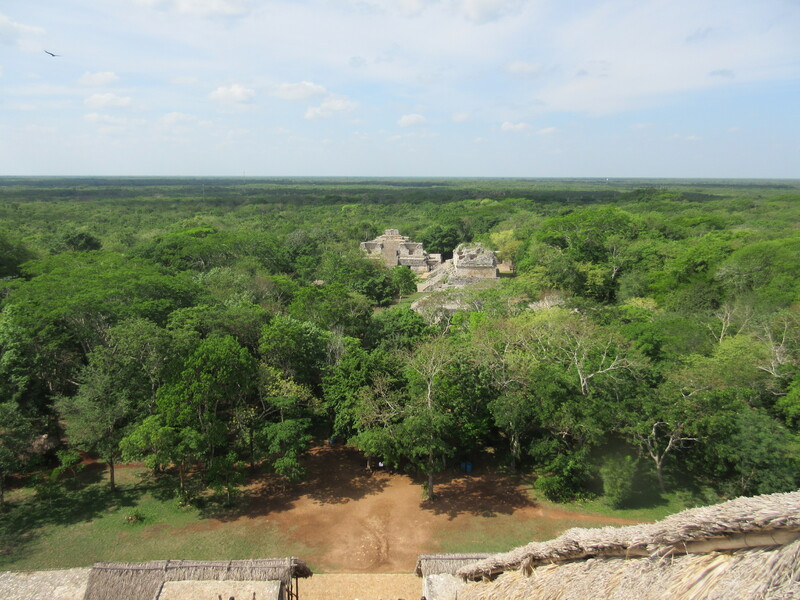 I recommend climbing the main pyramid at Ek Balam, and the view from the top is breathtaking. The ruins and the cenote are surrounded by unspoiled natural beauty and dense jungle, which I loved. The entrance to Cenote X’Canche is located down a gravel path from the entrance of Ek Balam. 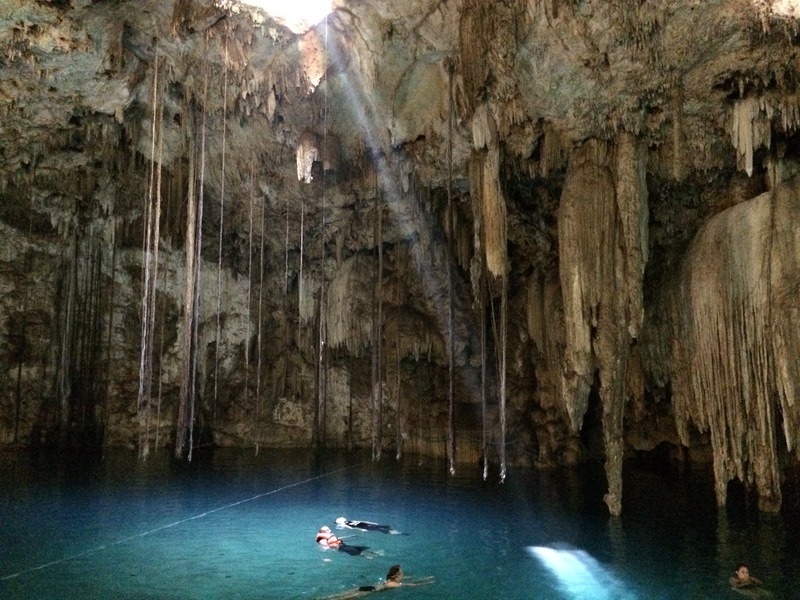 Swimming in the cenote is a perfect way to cool off after climbing the ruins! 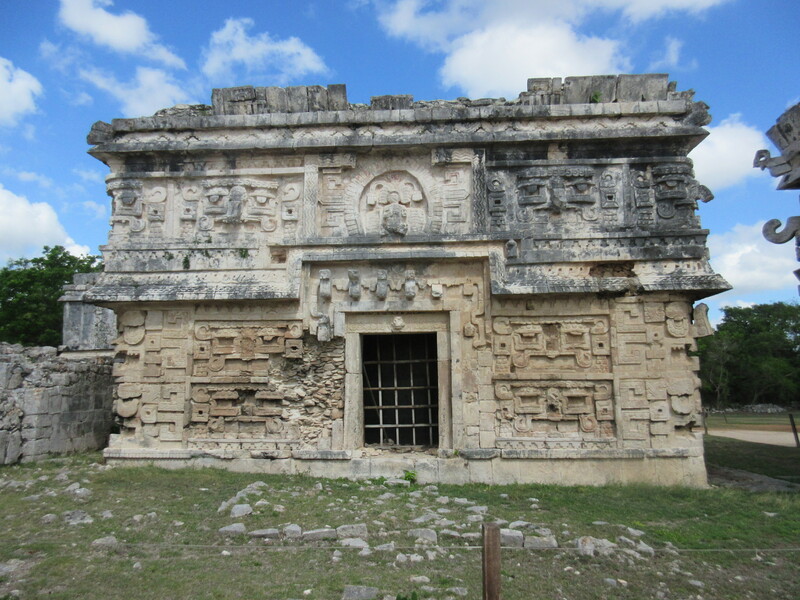 I wrote more about these ruins and the cenote in my posts titled The Ruins of Ek Balam and Cenotes of Valladolid. 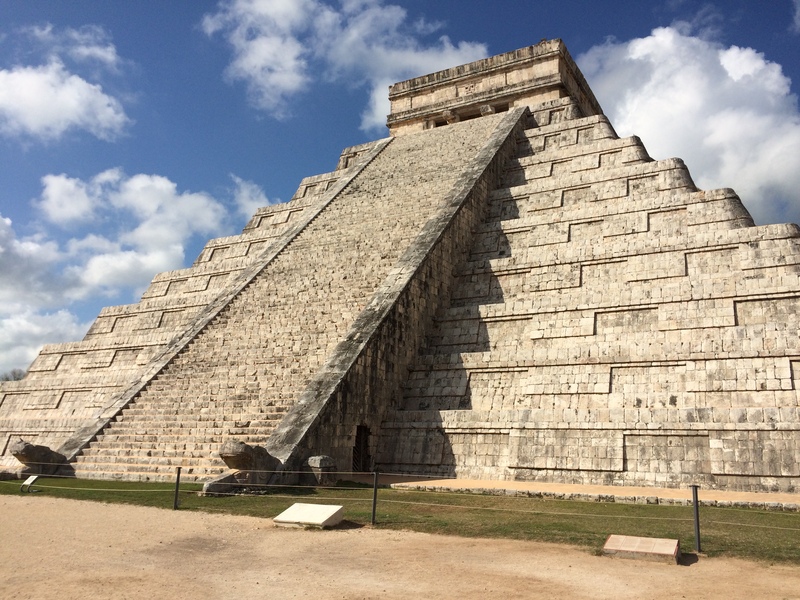 Chichen Itza is located about 45 minutes west of Valladolid, near the town of Piste. You can get there via colectivo or second-class ADO bus from Valladolid. It is a magnificent ruins site, with many impressive structures to explore. Unfortunately, you are unable to climb or touch the ruins. I recommend visiting early in the morning when the site opens at 8 AM, in order to beat the heat and the crowds. 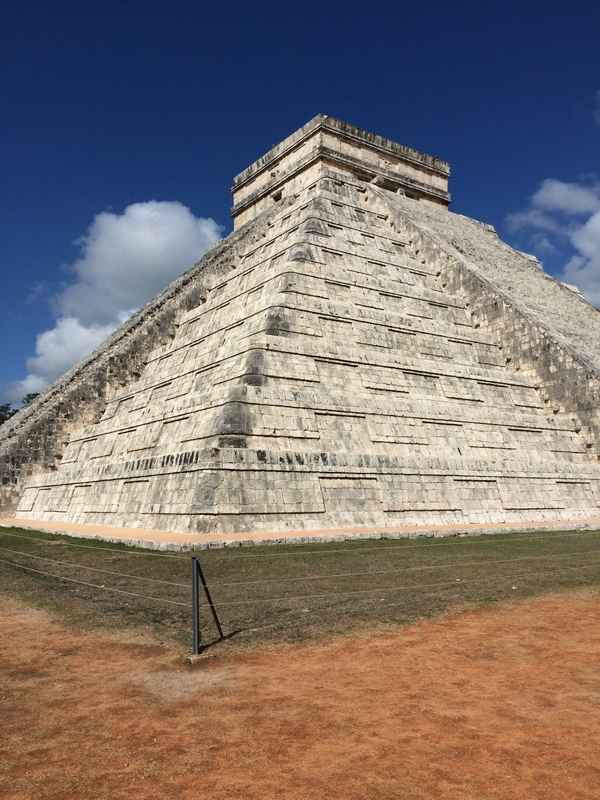 You can read more about Chichen Itza on my post titled Ruins of Chichen Itza. Have you traveled to Valladolid? What did you love about this city? Any suggestions for things to do that are not on my list?